Even if you’ve already tried to get to Inbox Zero, your only fallback is the delete-all nuclear option, and you’re expected to be on email all day. Yesterday I spent 30 minutes on email (I used to spend up to 4 hours a day). And I’m CEO of a company with team members, clients, and thousands of customers distributed around the globe. My business is thriving, and colleagues rely on me to get things done. But only a few years ago, I was so bad at email that I lost business deals (costing me tens of thousands of dollars), screwed up client relationships, and damaged my reputation. I’d drop the ball with people I respected, and later when I’d meet them in person, it was so awkward. It got so bad, I almost stopped attending conferences. That’s a huge problem in an industry where networking and relationships are everything. I was embarrassed to meet people I’d let down. … Wake up and check email (still in bed). … Check email on the toilet. … Check email all day, every day (but never get it under control). … Use downtime to check email and make sure I’m not missing anything important (which I do, a lot). … After 20 mins down the email rabbit hole, find it almost impossible to focus and get back to work. … Get maybe 2–3 hours of real work done all day. … Crash and lose all my energy mid-afternoon, even though I’m working out and trying to eat healthy. … Try to power through my slump, all the while asking myself why I’m so tired all the time (hint: email was sucking away my energy and concentration, one distracting little notification ping at a time). … Rinse and repeat the next day. Day after day. 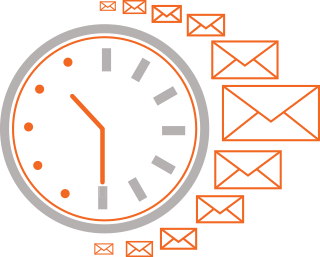 How Much Time and Money Are YOU Losing to Email? Skip to the Bottom to Find Out. Do you check email within 15 minutes of waking up? Do you nervously scan through your old, unread emails multiple times a day—because you might have missed something? Are you expected to reply to emails instantly? Do things “just get lost” in your inbox? 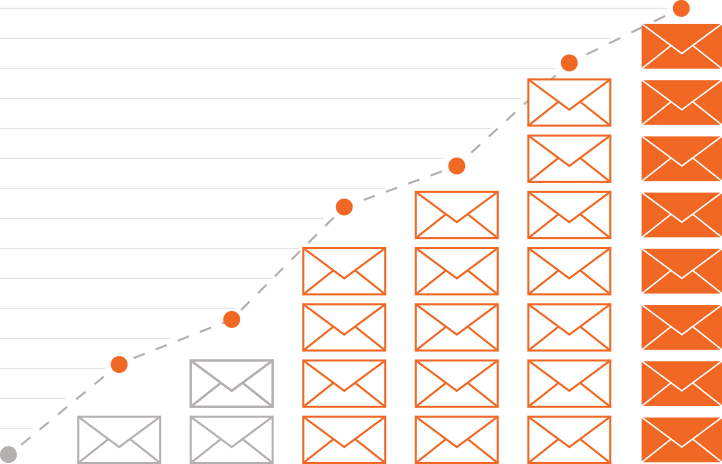 Do you feel leashed to the sound of your email notifications pinging nearly every minute? Do you read an email more than once, because you’ll “deal with it later,” but then it sits in your inbox for months? Have you noticed that whenever you eat or whenever you’re in the elevator, you just can’t relax, because you have to check your email? Are there days that are non-stop go from start to end—days when you can’t get even half an hour at your computer to process email? So when you get to the end of the day run down and burnt out—even though you feel like all you did was email—is it any wonder? Our bodies and brains didn’t evolve for a life of constant notifications, immediate replies, and endless email chains. And as the situation gets worse and worse, 99% of people will shrug their shoulders, say “That’s the way it is,” and gradually inch their way up to spending 50% of their waking hours on email (it’s already at 33%). If you’re willing to do something that 99% of people won’t do, then you’re going to stand out from the crowd… you’ll be seen as a winner… someone who gets things done. First we need to get honest about what’s holding people back from conquering their email. Most people feel guilty about how their email is making them look unreliable and inefficient in front of important customers and teammates. However, the truth is: the conventional way of managing email is the cause of all this stress and dysfunction. It’s the system that’s broken. It’s actually not you, at all. 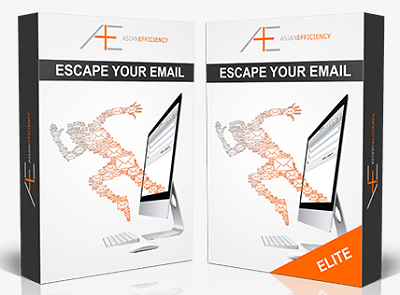 At Asian Efficiency—the world’s leading productivity training company—we’ve taken my email management system and spent years improving it. We’ve researched, experimented, and refined it. We’ve crash-tested the system in our own lives, and we’ve implemented it with hundreds of clients. And now, for the first time ever, we’re making it available outside of this elite group of team members, clients, and friends. Our course is designed to put YOU in the driver’s seat of managing your time, energy, brain power, and productivity. All while running your business and your life, without letting anything slip through the cracks—in less than 30 minutes a day. 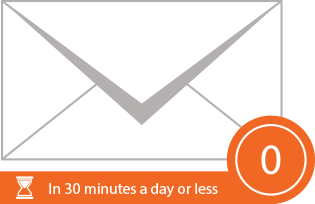 In only 30 minutes, you’ll quickly and easily get more done than most people do all day. You’ll effectively be adding 4 full days of productive time to your week… every single week. How much more money could you make in that time? How much earlier could you finish work every day? 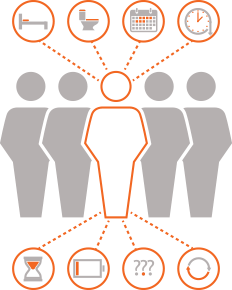 Imagine the projects you’ve got waiting in your pipeline right now. How much faster could you launch those with an extra 4 days a week? Which long-standing goal could you start to work toward with an 3 extra workweeks every month? How much would your reputation increase—now that people know they can rely on you to get back to them reliably? IMPORTANT: Do you struggle with getting your email inbox to zero…and KEEPING it at zero? Does it feel weirdly like a yo-yo diet…up and down, day after day with no consistency? You can get to an empty inbox with our free material (we’ve proven this again and again with thousands of people). Getting to an empty inbox is one thing, keeping it empty is another. You need a rock-solid system for that, and that’s exactly what I’m offering you.